It's a mint julep in a skillet! The pork chops are quickly cooked in a skillet, then drizzled with a bourbon-mint sauce. So simple, so satisfying, so summery! And why now, when the Kentucky Derby is already a month past? Well, the Derby is such an experience, it's got me thinking about other "iconic American experiences". I've listed my ideas and would love to know yours, too, especially the ones from your own hometowns. Please do chime in! Yeah, me, I was there. Really. I WAS THERE, at the Derby. As the trip’s sponsor Pure Leaf put it, I won the “blogger lottery” that day. (See Disclosure.) I sure did. Have you been? Me, I’d never even thought about going. WHAT an experience. The tradition. The gentility. The pageantry. The spectacle. The mint juleps. The hats, ladies, the hats! The Derby sits high on the list of iconic American experiences. Ever since, the Derby has me making lists of other lifetime experiences. City experiences like New Years in Times Square, Mardi Gras in New Orleans and the 4th of July in Washington, DC. Skyward experiences like the launch of the shuttle and the balloon fiesta in Albuquerque. A hot air balloon ride over snow country! Experiences in wide open country. The sweep of sunflowers in South Dakota and bluebonnets in the Texas Hill Country. The Medicine Wheel on top of the Big Horns in Wyoming. A dude ranch. The redwood forests of California. Loon-filled lakes in the Boundary Waters. The north shore of the Great Lakes. Weeping in the Badlands. Dodging spray at Niagara Falls. Experiences of art and literature. A Broadway play. Crystal Bridges. Oxford, Mississippi. Tanglewood. Live jazz, live blues, live gospel, live barbershop. The Mormon Tabernacle Choir. Experiences of spectacle. Las Vegas. Hollywood. Disney World. Macy’s Thanksgiving Parade. Graceland. Branson. A luau. Experiences of solemnity. The changing of the guard at the Tomb of the Unknown Soldier. Dealey Plaza. Vicksburg. The Alamo. A veteran’s burial in a military cemetery, surrounded by rows and rows of white crosses. A Civil War re-enactment. The Statue of Liberty. A naturalization ceremony. Experiences of sport. Opening day. The Super Bowl. Tailgating before a college football game. Crewing a sailboat. A rodeo! Square dancing! The Indy 500 and NASCAR. Experiences of the open road. Getting’ your kicks on Route 66. Highway 1 on the Pacific Coast. The Blue Ridge Parkway. The Great River Road. The Bourbon Trail. Amtrak cross-country. Supper at a busy highway truck stop. Shopping experiences. Fifth Avenue and Rodeo Drive. The Mall of America. Family experiences. A drive-in movie. A state fair. A neighborhood block party. But you know, iconic experiences are close to home too. In St. Louis, there’s our great modern architecture, the Gateway Arch. A moonlight boat ride on the Mississippi River. A tour of the Anheuser Bush Brewery. (Nine years I’ve lived here! No brewery tour.) Opening Day. The magical Circus Flora. The St. Louis Shakespeare Festival. Tubing on the Meramec. Chuck Berry in concert. The St. Patrick’s Day Parade in Dogtown. Circus Flora. The new Lincoln Museum in Springfield. For anyone who keeps a lifetime bucket list, the Derby deserves a spot. What iconic experiences are on your list? And what are the experiences from your own hometown, those I'd especially love to know. Who knows? Maybe you'll inspire some local tourism! COOK CHOPS In a large, heavy non-stick or well-seasoned skillet, heat butter and olive oil on medium heat. While the skillet heats, pat pork chops dry with paper towels, then rub with allspice, salt and pepper. Drop into skillet and let cook without moving for about 5 minutes. Turn over and finish cooking until all pink is gone from the center or the internal temperature registers 145F with a meat thermometer. Transfer to two warm plates and cover to rest. COOK SUGAR SNAP PEAS While the meat cooks, combine the broth, bourbon, brown sugar and balsamic vinegar in a small bowl. Once the meat cooks, add it to hot skillet (careful, it will sizzle! ), add sugar snap peas. Increase heat to medium high until mixture simmers, cover and let simmer until span peas are cooked but still bright green and slightly crisp. With a slotted spoon, transfer sugar snap peas onto the plates. REDUCE SAUCE Add mint to sauce, increase heat to high and boil hard, uncovered and stirring occasionally, until mixture thickens and reduces by about half. SERVE & SAVOR Drizzle pork chops and sugar snap peas with Mint Julep Sauce, serving extra sauce on the side. ALANNA’s TIPS My years in Iowa make me partial to what Iowans call “Iowa Chops” – just bone-in chops cut one-inch thick. In Iowa, they’re sold that way in grocery stores. Here in Missouri, I have to order them from the butcher but do. The chops are big, about 8 ounces of meat, so I eat eat just half, saving the rest for later. No sugar snap peas? No problem, carrots are great too. The Mint Julep Sauce is simply wonderful, I think it would be fabulous with chicken breasts cooked like Chicken Sybil. For fork-tender chops, an Epicurious commenter mentioned searing the chops, then baking them at low temperature for two and even three hours. I’ve done this, 300F for two hours is too hot. Next time I’ll try 200F for three hours. It’s a good cold-weather option. Careful readers (I love you!) might notice that the photograph shows bits of fresh mint in the sauce. I didn’t like this in the least, it’s ugly and kinda stringy. So now I use whole sprigs of fresh mint in the sauce, bruising the leaves to release the oils, then pull them out before serving. Much better. 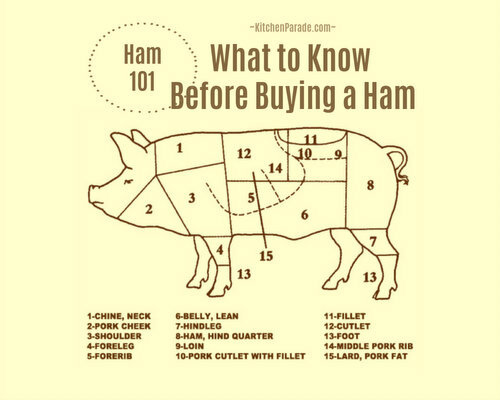 NUTRITION ESTIMATE (assumes a standard serving of pork, that is, 4 ounces of uncooked meat or 3 ounces of cooked meat, that's about half an inch-thick Iowa chop; assumes meat and vegetable both; assumes 2/3 of bourbon's alcohol evaporates during cooking) Per Serving: 313 Calories; 13g Tot Fat; 5g Sat Fat; 80mg Cholesterol; 316mg Sodium; 16g Carb; 3g Fiber; 11g Sugar; 27g Protein. 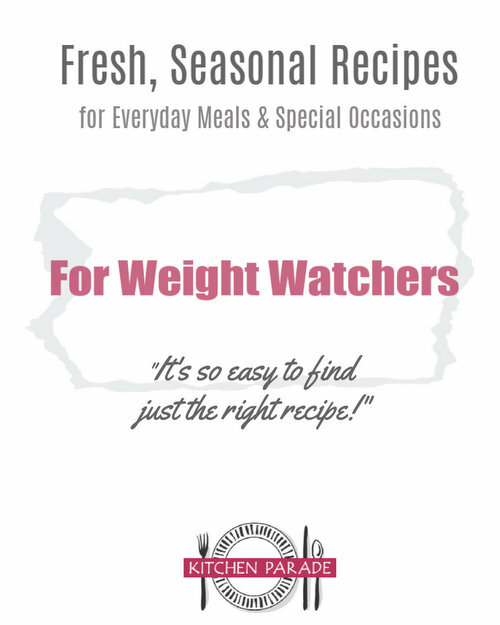 WEIGHT WATCHERS Old Points 6.5 & Points Plus 7. This recipe has been 'Alanna-sized'. While at the Kentucky Derby, I was thrilled to meet one of my long-time favorite bloggers, Janelle from Talk of Tomatoes. “Do you guys know each other?” we were asked again and again. Meeting Janelle in person exemplified something I learned during the early years of food blogging, when there were just a few of us and we all knew one another at least online: “... and when we meet, we’re already friends”. Janelle’s posts show exactly what it's like to experience the Kentucky Derby, see Kentucky Oaks: fillies, lilies & frillies and Kentucky Derby 2012, great photos, great storytelling. Oh! I think you might like Janelle's Pure Leaf Tea Watermelon Cocktail too!